We offer all types of printing and promotional items. Your Top Self-Adhesive Labelling Company In Johannesburg. Chicks Labels is a family run business and has been in existence since 1976. The factory is situated in Mulbarton, south of Johannesburg. 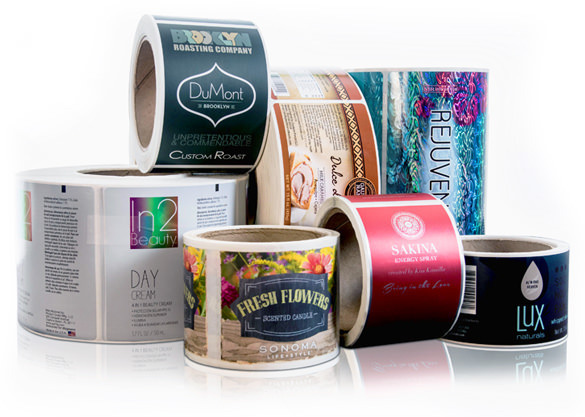 Our core business is the manufacturer and distribution of self-adhesive labels, on a roll format, printed from one colour to full colour using various substrates (matt, semi gloss, day-glow and thermal) as well as synthetics (PVC and polypropylene) in various tints and sizes. The thermal label products we provide, include thermal BLANK and PRINTED labels. We also supply thermal printers and ribbons. We offer over-lamination and varnished finishes. We also provide barcodes and QR codes in our scanning product line. Apart from the self-adhesive label products. We also offer all types of printing and promotional items. Please browse through our products page for more detail of printing formats offered. We have a steadfast belief that each client should be treated like family. It is this special attention to the needs of our clients that sets us apart from the rest. Because we are a family run business, we pride ourselves in the quality of work we produce, and offer competitive pricing to our clients.